Our service is comparatively new on the market, as there are no other sites, who can offer paper checking by the professional essay checker online. The process of the cooperation with our custom checking service is quite easy. To apply for us you just need to pass simple registration and send your paper for us. If you just want our writers to look through the paper, they do it and then tell you whether your essay needs a correction or not. If you want more profound checking, then our writing experts will do everything to improve your paper, so that it doesn’t contain any of the possible mistakes. With our grammar checking you get a profound review of your essay, taking into consideration more than 250 common and specific features. You get a detailed revision with grammar explanation – everything you need for your complete improvement. 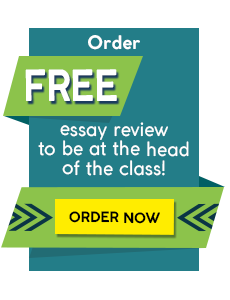 Grammar checking offers you a deep analysis of your essay according to the sphere for what your essay is written. The privilege of our checking – it is conducted by a real person, not by a machine. You should remember that the correct written communication is a key to success, so that it is rather important to write correctly to achieve the wanted result. Essaycheck.us is an outstanding service for those who want to improve writing and to achieve the success! We offer you a profound checking of your paper, which include spelling, grammar, and punctuation revision. You can disagree with us, that spelling is important for your study success; however, we have firm arguments in favor of this kind of checking. Nowadays, in the modern society, business letters are important as well as face-to-face negotiations. If your writing is poor, you will never manage to promote your career. Everything starts in college, when you write various essays, and then, you put your knowledge to use. That is why, it is so important to have correct spelling in your writing, as you can get negative reputation. Remember, any employer won’t deal with illiterate people. So, you have an opportunity to choose the best future for you! Grammar is one of the most important components of great writing. You can write an excellent content, however, if it is written with incorrect grammar – you won’t manage to convey your idea correctly. So, check your paper for grammar mistake with our experts in writing and succeed to get out your message! Punctuation is also an essential aspect of writing, which you shouldn’t ignore. With incorrect punctuation, your writing won’t be respectful – whether you write it for your college career or you want to impress an employer. Only you are responsible for your future, and our service can be just a personal assistance in your way to success!